Smoking is one of the most harmful habits a person can have. It is directly linked to several diseases, and it is connected to different types of cancer: lung, bladder, esophagus, stomach, and pancreas among others. The risks of having cancer in various parts of the body are immensely increased when the individual smokes. Other “minor” ailments are a consequence of smoking, for example, bad breath, inflamed gums, sore throat, skin dryness and hair loss. These should not be overlooked since they are part of a progressive deterioration chain that is triggered once somebody starts smoking. The main reason why smoking affects skin is that there is an insufficient oxygen supply and this may result in vessel occlusion, that is to say, circulation problems. It seems to be that vaping is a safer alternative to smoking when it comes to hair loss if the vaper uses the best e-liquid available the harm is reduced but not eliminated since nicotine is related to vasoconstriction and accelerates aging. Nicotine is a very addictive stimulant, and since e-cigarettes are delivery systems for nicotine, vaping is not exempted from harm. The first step is to know how hair grows. There are little sacs that underneath the scalp that is in charge of providing the necessary environment to trigger hair growth, these are called follicles. Follicles need a constant flow of oxygen in the blood to maintain the rhythm of growth and strength of each hair. When a person starts smoking this flow is affected by the nicotine included in cigarettes and e-cigarettes. Nicotine causes vasoconstriction, which means blood starts to flow in smaller veins and vessels, this reduction of blood flow implies less oxygen for the follicles, and therefore a weakening of the whole process of hair grow. 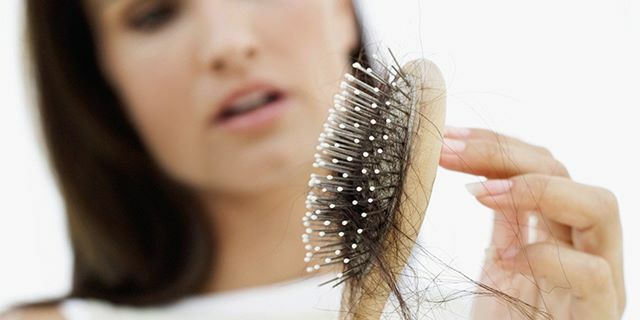 The follicles are also inflamed, and this leads to the reduction of enzymes that are necessary for hair growth. Ageing is one of the most known causes of hair loss, and even though aging is unavoidable, certain things slow the process. Smoking happens to increase the speed at which a person ages. Smoking has been linked to premature signs of aging such as wrinkles and hair loss. For male individuals, hair loss is also something related to heredity. 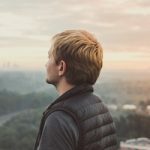 If men in your family are going bald, there is a big chance you are going to experience some hair loss too. However, every effort invested in delaying natural aging would help. Besides the toxic elements that are introduced in blood when smoking, which cause damage to the way and rate of hair growth there is also the chance of clogging the pores with the smoke that is exhaled. Particles of smoke rest on the skin and the scalp of the person and may cause some clogging if not taken care of. 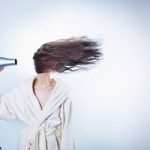 Many people have reported in forums and doctor’s sites that after smoking or vaping they felt their hair was not strong anymore, and it was constantly falling. It is normal to lose about 100 hairs a day, the problem comes when it is time for the follicle to grow a new hair if circulation is impaired due to vasoconstriction it is going to take the smoker a long time to see his or her hair grow back. The links were also proven to be stronger with the more time the person had smoking, the risks of hair loss and gray hair grew with increasing tobacco use. The good news is that hair loss due to smoking can be prevented and reversed. The first thing would be to quit smoking immediately, and later other steps can be taken to reverse the damage that has already been done. Give yourself a scalp massage and use some coconut oil to hydrate the skin, it also increases blood flow and encourages hair growth. Tahmina Jannat Is a freelancer and a blogger.She loves freelancing blogging and traveling at weekend. 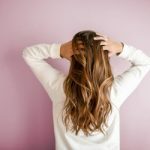 Are You Scratching Your Head Over Female Hair Loss?